Albert, Carl, 1908-2000. "Correspondence, Consituent from Muskogee, Oklahoma with Carl Albert." Original Correspondence. Letters exchanged by constituent from Muskogee, Oklahoma with Rep. Albert. 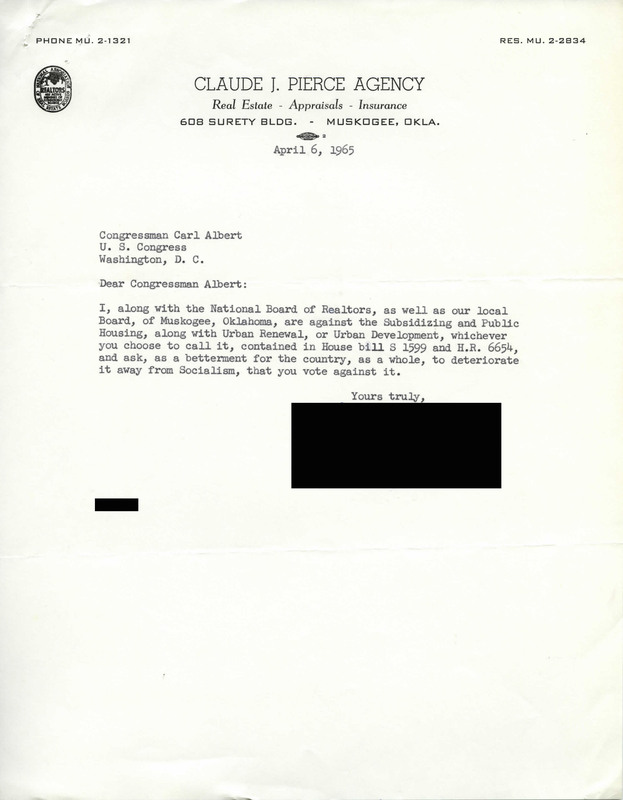 Carl Albert Congressional Papers, Legislative Series, Box 87, Folder 27, Carl Albert Center Congressional Archives, University of Oklahoma. Accessed 21 April 2019. http://acsc.lib.udel.edu/items/show/278.